Are you finding that making repairs to your Mini Cooper Classic, Clubman, JCW, Roadster, S, Countryman, MC40, Sidewalk, John Cooper, or Paceman is putting a big dent in your hard earned savings? Foreign car repairs can be an expensive undertaking but AutoPartsSearch.com gives you the maximum bang for your buck when it comes to making repairs on your Mini. 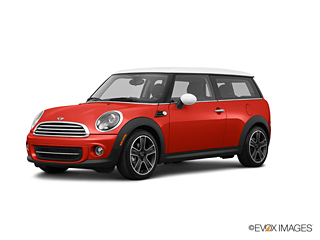 Finding salvage auto parts for your Mini Cooper has never been easier when using our online search feature and if a part appears to be unavailable we will locate it for you. Access to thousands of excellent quality recycled car parts allows us to extend the best prices available to make the least impact on your wallet. Our online site also provides access to locating and buying Aftermarket and OEM auto parts. We only offer very high-quality aftermarket parts for you to purchase. OEM parts will be your most expensive option but offer the advantage of a warranty. OEM parts guarantee that the fit specifications on install are duplicated in the replacement part. Aftermarket parts can be a little trickier about fit so it is important to contact us if you have any additional information to consider when using this type of auto part. Salvage auto parts can keep your car running smooth another day but did you know buying them can reduce pollution? Yes, the reuse of auto parts that have not completed their life cycle provides relief from groundwater pollution and unnecessary waste and greenhouse gases in the environment. Each junk part being used aids the planet in an extremely positive way.